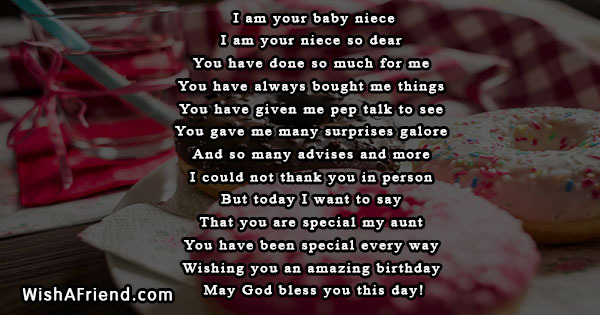 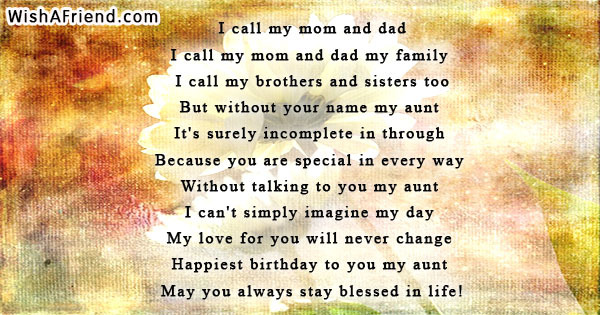 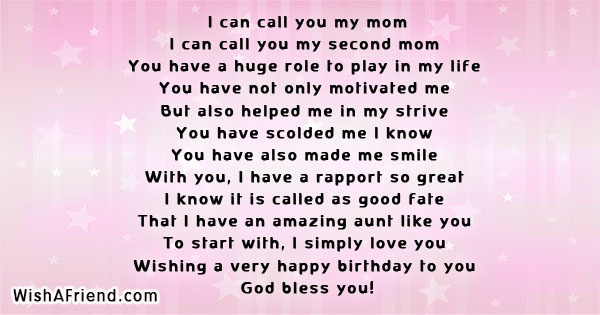 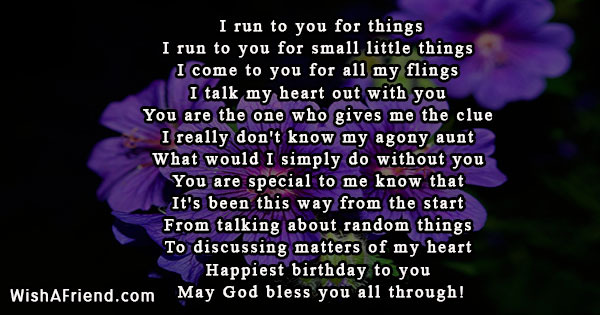 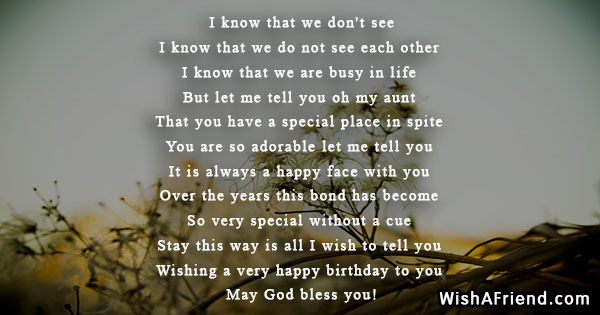 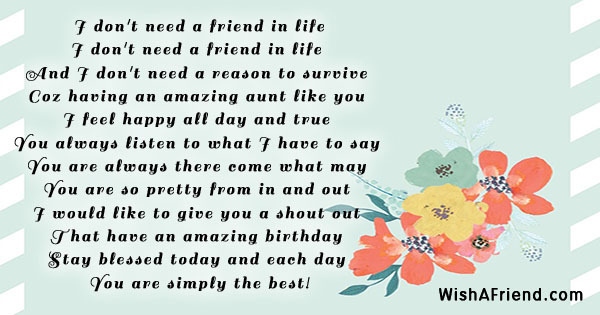 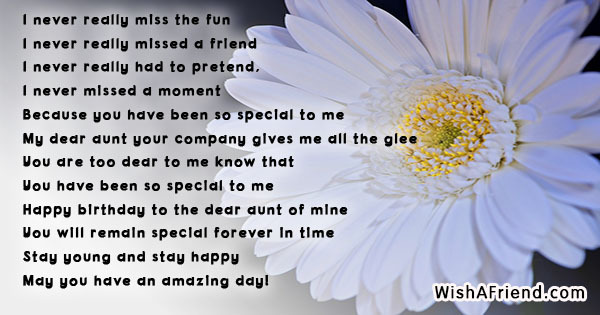 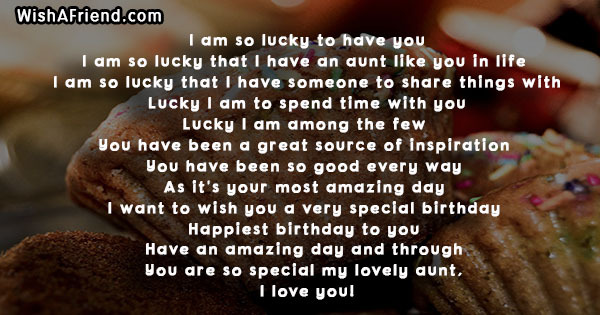 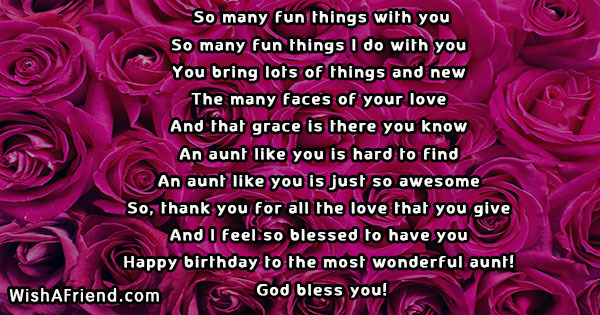 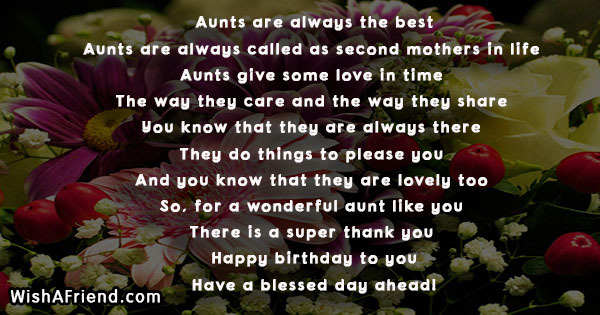 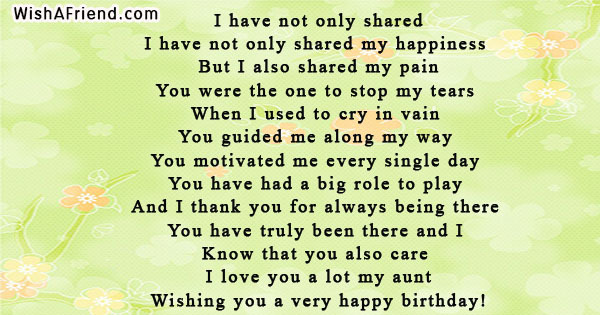 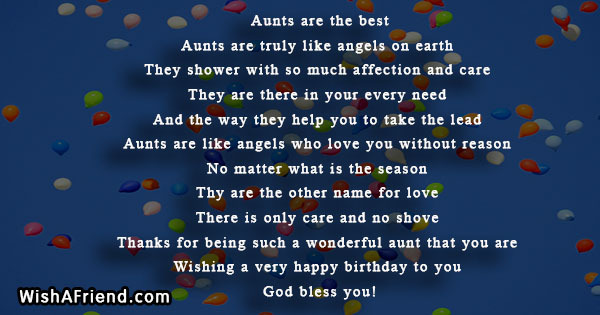 Wish your Aunt a Happy Birthday with these beautiful poems. 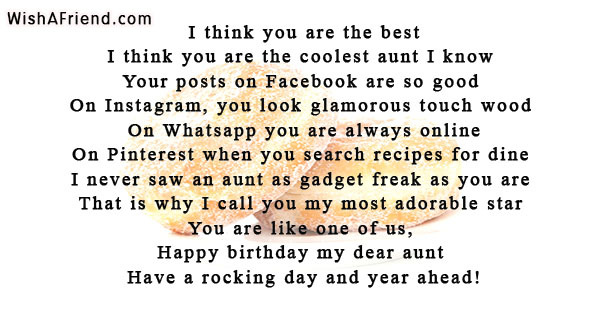 Send them via Facebook, Whatsapp, Twitter etc. 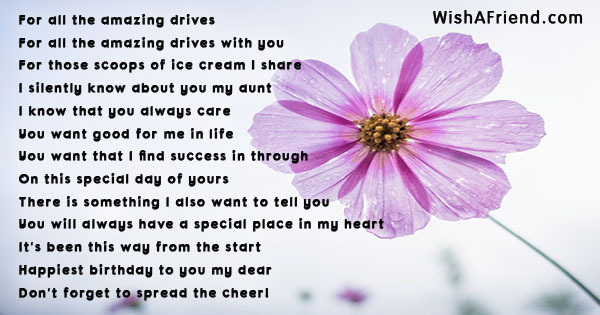 Don't forget to spread the cheer! 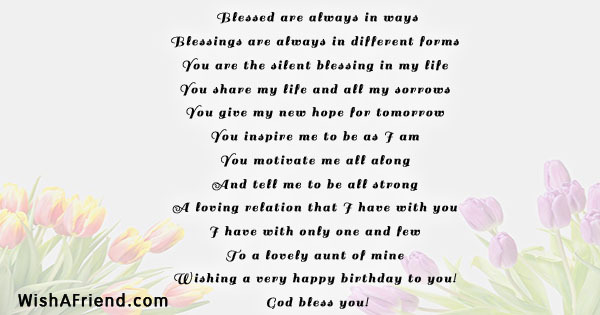 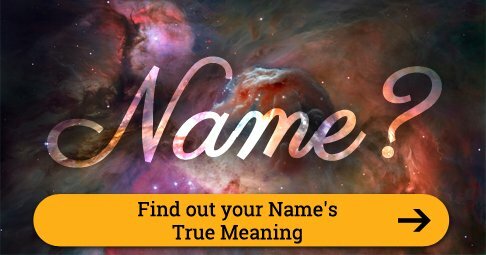 May you always stay blessed in life! 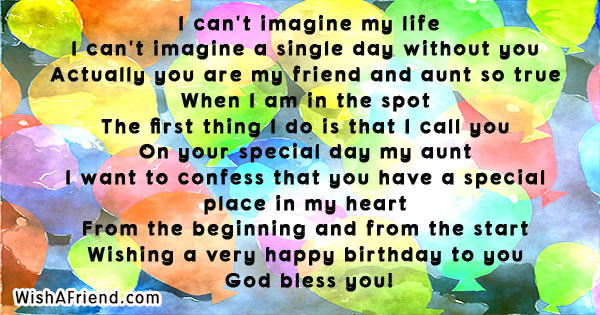 May God bless you all through! 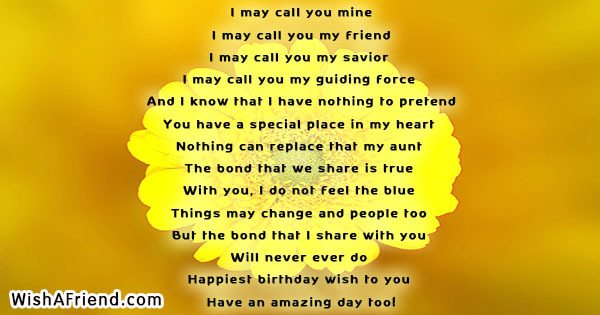 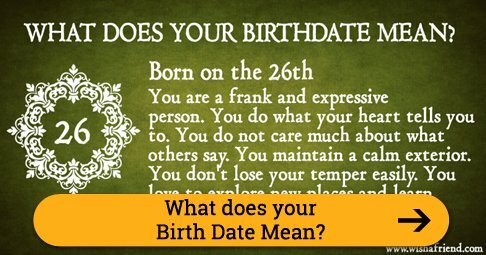 Have a rocking day and year ahead! 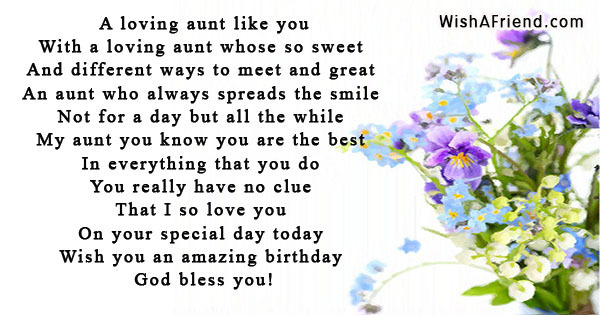 Happy birthday to the most wonderful aunt!